AUGUSTA -- A grand jury has added kidnapping to a list of charges a Gardiner man already faces involving an incident in which his girlfriend suffered a stab wound, broken ribs and a punctured lung. AUGUSTA — A grand jury has added kidnapping to a list of charges a Gardiner man already faces involving an incident in which his girlfriend suffered a stab wound, broken ribs and a punctured lung. David F. Dineen Jr., 49, was indicted Thursday by a grand jury in Kennebec County Superior Court on charges of kidnapping and criminal restraint and two counts of aggravated assault. The criminal restraint charge lists one of the woman’s two sons as a victim. The other charges name her as the victim of the alleged offenses, which occurred between Oct. 11 and 13 in Gardiner. Dineen has been free on $35,000 cash bail since shortly after his arrest and recently his bail conditions were changed to allow him to leave the state for work. An indictment is not a determination of guilt, but means there is enough evidence to proceed with formal charges and a trial. 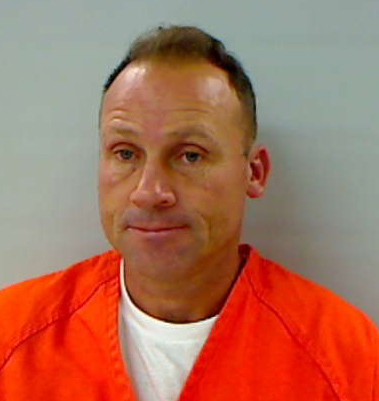 In a separate case, a Corinna man also was indicted on three charges of gross sexual misconduct that allegedly occurred nearly 30 years ago. Glenn A. Graves, 56, was arrested in Winthrop on the indictment on Thursday afternoon and posted $1,500 bail. He is accused of engaging in sexual acts with two different girls under the age of 14 in Winthrop between Oct. 9, 1985, and April 1, 1987. * Joshua L. Belyea, 24, of Augusta, domestic violence assault and violation of condition of release Oct. 10 in Augusta. * David Easton, 65, of Oakland, domestic violence criminal threatening and domestic violence assault Sept. 10 in Oakland. * Jeana M. Fontaine, 28, of Monmouth, unlawful trafficking in cocaine base May 4 in Winthrop. * Tyler H. Greenlaw, 18, of Winslow, theft by unauthorized taking, aggravated criminal mischief, operating without a license, all July 27 in Winslow. * Gary W. Hall Jr., 27, of Augusta, operating after revocation and violation of condition of release Oct. 16 in Augusta. * Raymond Anthony Hamilton, 23, of Waterville, domestic violence assault Sept. 7 in Waterville. * Richard Anthony Hernandez, 20, of Augusta, eight counts each of burglary and theft by unauthorized taking between Aug. 1 and Oct. 3, all in Augusta. * Emily A. Hinkley, 21, of Augusta, theft by unauthorized taking or transfer between March 16 and May 14 in Augusta. * Michael R. Marro, five counts each of burglary and theft by unauthorized taking between Aug. 1 and Oct. 1, all in Augusta. * Brian Thomas Mulkern, 32, of Winthrop, attempted trafficking in heroin, unlawful possession of heroin and operating after suspension, all Sept. 22 in Winthrop. * Havier Olmo, 29, of Waterville, three counts each of aggravated trafficking in oxycodone and unlawful trafficking in scheduled drugs (oxycodone and cocaine), and one count each of possession of a firearm by a prohibited person, escape, unlawful possession of suboxone, unlawful possession of synthetic hallucinogenic drugs, and receiving stolen property, all between July 17 and Sept. 28 in Waterville. * Joseph T. Santerre, 26, of Canaan, domestic violence assault Sept. 23 in Waterville. * Dustin Phillip Smith, 20, of Augusta, three counts of terrorizing and one count each of unlawful interference with a law enforcement dog, aggravated cruelty to animals, refusing to submit to arrest and assault, all Oct. 10 in Randolph. * Angie M. Soucy, 34, of Belgrade, reckless conduct, assault on an officer, refusing to submit to arrest, criminal mischief, violation of condition of release, failure to give correct name, all May 22 in Belgrade. * Fred F. Taylor III, 43, of Sidney, aggravated assault and assault July 21 in Augusta.